During the 2014 call for nominations, the program received 93 nominations across the four categories from 16 economies in the Asia Pacific. Each winner received a cash prize of AUD 3,000 to support the continuation of the project or the organization conducting the activities and a travel grant for a project representative to participate at the 9th Internet Governance Forum (Istanbul, Turkey. 2-5 September 2014) to showcase their project, make new professional contacts, and participate in discussions about the future of the Internet. The Awards Ceremony took place during the Internet Governance Forum in Istanbul, Turkey 2 Sep 2014. 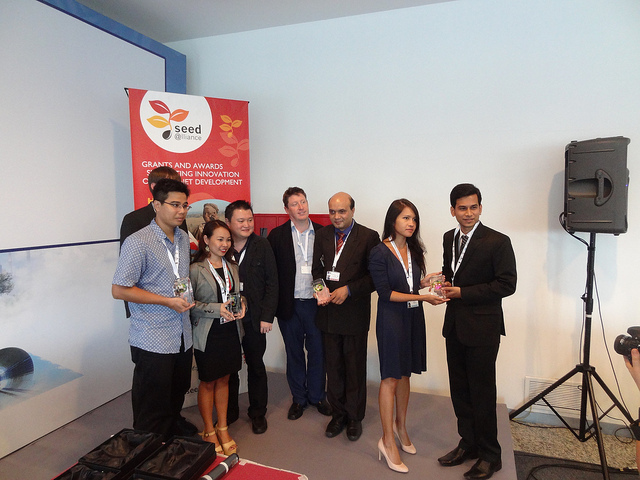 The award winners with the Sida, IDRC, ISOC and Dot Asia funding partners during the trophy presentation at the awards ceremony. Rights: Sinar Project, Malaysia- Malaysia has very few publically available resources of online information on governance, such as budget expenditure, assets of those holding political office and parliamentary bills. Information that is available is not in a usable format. Sinar uses open source technology and applications to improve governance and encourage greater citizen involvement in the public affairs of Malaysia. Innovation on learning and localization: Accessible reading materials for grades 1-10 students with print disability through DAISY standard, Young Power in Social Action (YPSA), Bangladesh- YPSA’s project supports students with print and learning disability, and low literacy by creating access to DAISY full text and full audio digital books, Braille books and accessible e- course books. Approximately four million Bangladeshis are visually impaired, and around 48 per cent of the population is illiterate or low literate. YPSA, along with the Prime Minister’s Office, has produced DAISY digital multimedia books for the student of years 1 to 5, which proved accessible and cost effective. YPSA will now extend the range of textbooks to cover the entire secondary level. Innovation on access provision: e-Action for Universal Healthcare Coverage, ACCESS Health Philippines, Philippines- The project uses innovative mobile technology to expand the capacity of the government’s frontline health workers to deliver high quality, integrated maternal and child healthcare to the poorest Filipino families. The eAKaP project provides mobile tablets and trains CHTs to use an application called iCHT (automated Community Health Team). A health worker can visit a household and use the tablet with iCHT installed without the need for Internet connection. The household information is then stored until an Internet connection is available, at which time it can be uploaded to a cloud-based server that automatically generates reports. The iCHT application has resulted in decreased spending for materials and reduced time spent performing CHT related tasks. The eAKaP Project has so far trained 100 health workers, covering approximately 5000 families. 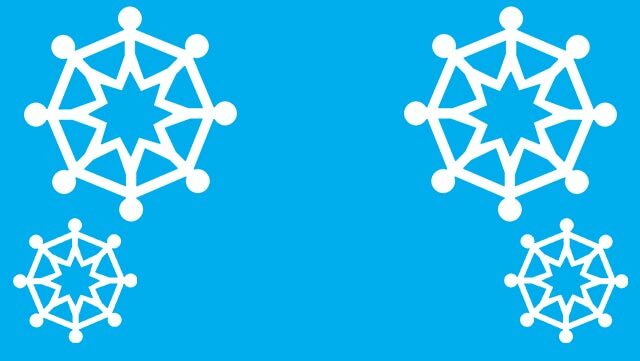 Code for the common good: Connecting remote islands in Vanuatu with LiteGateway Network Access System, Telsat Broadband Limited, Vanuatu- Telsat Broadband has created a broadband Internet system that delivers quality service at a very low cost to small remote island communities. The LiteGateway NAS Appliance, which can scale from a small device supporting up to 25 concurrent sessions through to a large server base supporting a major town, is driven by code specifically created for this project. It allows for easy and quick establishment of new POPs, and is capable of providing both IPv4 and IPv6 to customers. Broadband Internet access is then available for as little as US$2.00. Since the deployment of the platform in three locations, interest has come from various aid agencies seeking to deploy the cost-effective communications solution in their outer island projects. In addition to the winners selected by the Selection Committee, the community can have their say and vote for their favorite project, independent of the selection process. The award winner for 2014 received 5782 valid online votes. Community Choice Award: Sohoj Sonchoy - Easy Savings, Green Networking Research Group, Department of Computer Science & Engineering, University of Dhaka, Bangladesh- Android app Sohoj Sonchoy allows Bangladeshi people—particular vulnerable groups, including women, rural people, the non-skilled and unemployed— to watch hands-on video tutorials online, helping them to develop skills, learn new techniques and increase workplace participation. The training videos—all free, available in Bengali and using free and open source technologies—help people to learn critical skills such as reading, writing, effective agricultural practices, machinery repair, food preparation, simple first aid, personal finance and fire safety from their smartphone or computer.